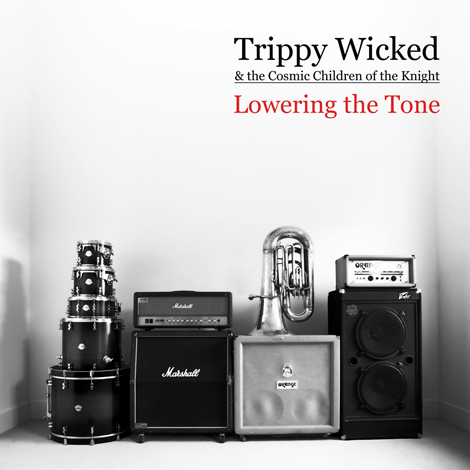 Trippy Wicked & the Cosmic Children of the Knight return heavier than ever with Lowering the Tone; a 7 song EP of big weighty music recorded live and loud in November 2008. Lowering the Tone is the band's second self released album and the first with the new line up that now includes Dicky on bass, previously from UK doom lords Olde Crone. It's full of riffs, grooves, cosmic vocals and good old fashion songs. Feast those skinny little ears on this sumptuous Smorgasbord of sounds.